Colin Trevorrow says 'Jurassic World 2' is going to be a deep blockbuster. The 40-year-old writer-and-director joined the franchise for the fourth movie and has written the plot for the sequel, which he will also be producing. 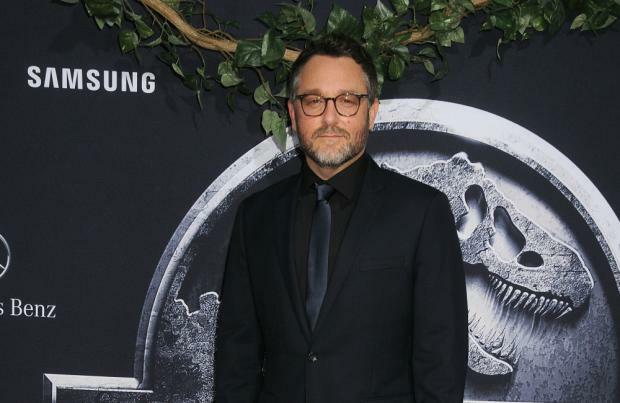 Juan Antonio Bayona is directing the new adventure and Trevorrow has teased that his film is going to be more "character-based" and is also going to add an element of "suspense" to the dinosaur action. In an interview on the Happy Sad Confused podcast, Trevorrow said: "It's deeper, move character-based and it definitely leans into suspense, especially in the second half. It does have the big action in the middle. There's a sequence in the middle that I've been watching - I mean, I watch dailies every day - but I've started to see stuff come together and it's just insane. "I apologise to those who thought they were never going to need to see another 'Jurassic World' movie because I think J. A. Bayona is going to prove them wrong." 'Jurassic World 2' sees the return of Bryce Dallas Howard, 36, as Claire and Chris Pratt, 37, as raptor trainer Owen, as well as original 'Jurassic Park' star Jeff Goldblum as Dr. Ian Malcolm, and it has just wrapped up its UK shoot. Trevorrow admitted when writing the return of Goldblum's character - who was last seen in second film 'The Lost World: Jurassic Park' back in 1997 - he went back to the original 1990 novel by Michael Crichton. He said: "I used a lot of Crichton dialogue. Maybe one of my highlights of this whole process is Goldblum. "Jeff Goldblum called me - and I'm not going to do an impression - but he was like, 'Look I've added a couple of things and I thought I'd perform it for you.' "
Speaking to Entertainment Weekly last month, Goldblum, 64, admitted he thinks the Bayona - who directed 'The Impossible' - is an incredible filmmaker and will be bringing something new to the franchise. He said: "I like my character. I think my character is a saucy, sassy man of some integrity and deep thinking. And of course, that whole world continues to be popular, slam-bang, top entertainment. I talked to the director J. A. Bayona over the phone. I enjoyed his movie 'The Impossible' with Naomi Watts and he's something else." 'Jurassic World 2' has been slated for release in June 2018.